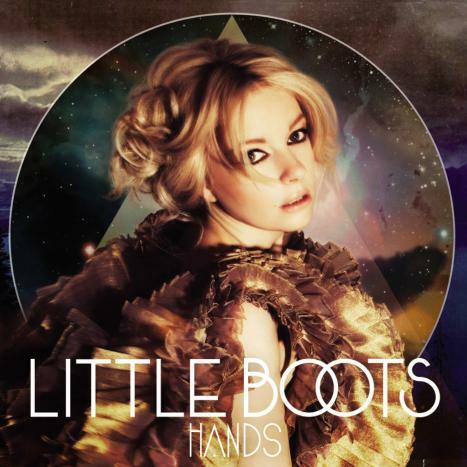 • KICKING off her campaign for superstardom this week is Little Boots. The hotly-tipped electropop star, real name Victoria Hesketh, put out her shimmering debut album Hands, which features the single New In Town, this Monday. • Pucker up – I Kissed A Girl star Katy Perry is back with a new single. Waking Up In Vegas, the latest track to be taken from her album One Of The Boys, was released this week. • Icelandic post-rockers Sigur Ros’s rare debut album Von was re-released this week. The band’s album, orginally released in 1997 in Iceland, is now available to buy. • VV Brown, an indie pop singer songwriter who has been tipped for the top, has released a new single. Monday saw the release of VV’s third single, Shark In The Water, ahead of her album Travelling Like The Light. • Singer Pixie Lott released her debut single Mama Do on June 8. Pixie will also be appearing nationwide in support of The Saturdays, including gigs at De Montfort Hall in Leicester and Nottingham’s Concert Hall. • Soul icon Chaka Khan has a new single out this week. For the track Disrespectful, taken from her album Funk This, Chaka has teamed up with singer Mary J Blige. • Orchestral pop outfit The Mummers’ new album is out now. Tale To Tell is the first output by The Mummers, the guise of singer Raissa Khan-Panni. • Spanish band Bastila have released a self-titled album. Bastila was released in the UK on June 1. • One sure to spread quickly is The Airborne Toxic Event’s new EP. Happiness Is Overrated, the guitar group’s follow-up to their self-titled album, was released this week. • Cool cats know that Cougar are a band to watch. The group, who blur the lines between metal and electronica, release a double A-side of Rhinelander/Thundersnow this week.